Fleet: 1x DC6 (OO-GER), 1x Riley 400 Dove (OO-BPL). History: little info is available on this Brussels based company. Between 1968 -1970, two ex BIAS aircraft appeared with S.I.D.M.A. titles: DC6 "OO-GER" and Riley 400 Dove "OO-BPL". The meaning of this abbreviation is still unknown. 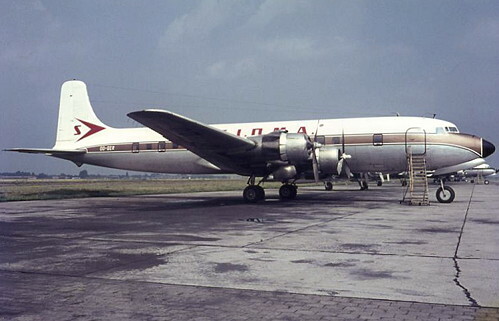 Both did wear full colors like depicted on the DC6. If someone has more information I would be happy to publish it with your credit.